A nationwide Australian organisation established to support the delivery of high-quality patient care. Their services are delivered to ensure that there is an ongoing improvement in the levels of efficiency and greater savings for the Australian healthcare system. The challenge faced by this hospital and organisation was in relation to ergonomics in the workplace, particularly when it came to their retherm carts and the pull/push force required to move them. 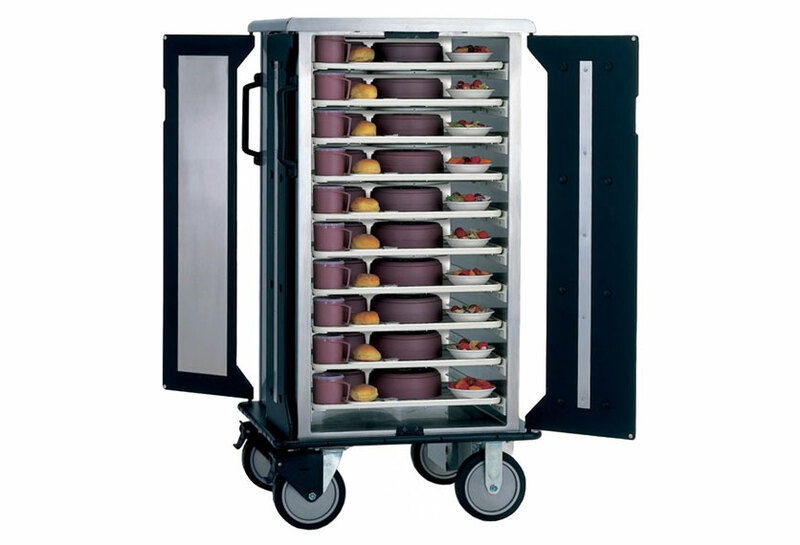 The carts are used by staff over long distances, moving meals between docking pods in the kitchen to patients in each ward. 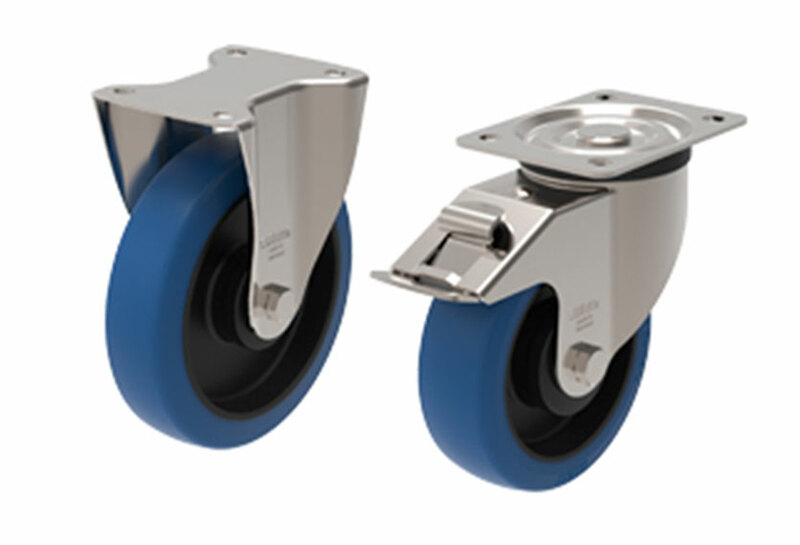 Originally the carts were fitted with a competitors product, which consisted of grey rubber wheels, two fixed castors and two swivel castors with brakes. The Blickle POBS wheel series presented the optimal solution for the retherm carts as they provided very low rolling resistance and high load capacities, reducing the amount of physical expenditure by staff. The POBS series offers thick tread that is made of reaction-cast Blickle Besthane® Soft polyurethane and molded onto a polyamide wheel centre. This ensured staff a high level of comfort and mitigate risk to the food tipping and spoiling as the number of shocks and vibrations were reduced. Added to this was the benefit of reduced noise in the ward halls from the retherm carts, keeping patients happy and undisturbed. With hygiene being of high importance in a hospital environment it was of great benefit that the Blickle wheel is hydrolysis and corrosion resistant, reducing the risk of bacteria being spread via the wheel whilst the cart performed the rounds. Trials were run by the hospital between the Blickle solution and a competitors polyurethane wheel and the results easily showed the Blickle solution outperformed in every area. The pull/push force required was significantly reduced as well as the solution offering a smoother, more comfortable and less noisy ride for the retherm carts.